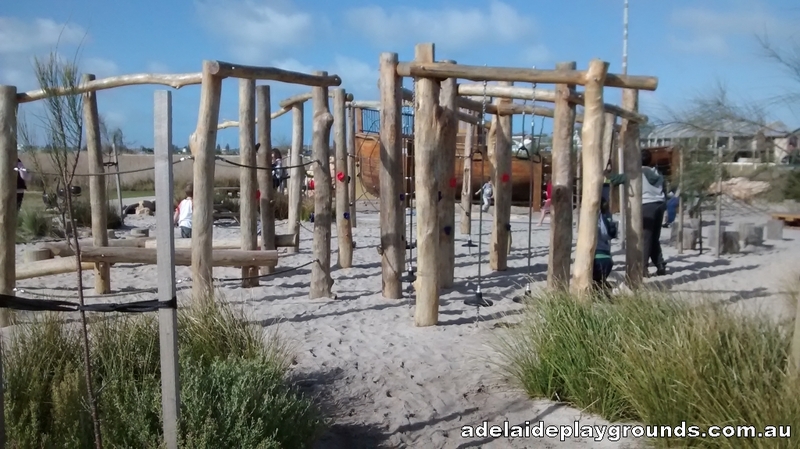 A great new park that is a must to take the kids to if you are in the area. 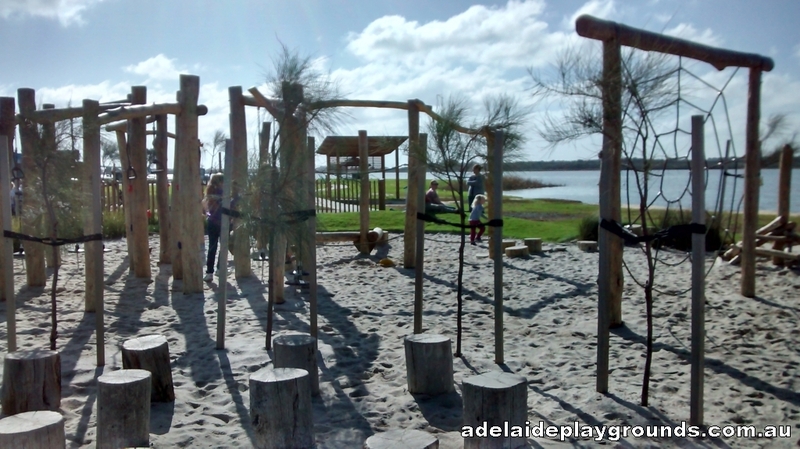 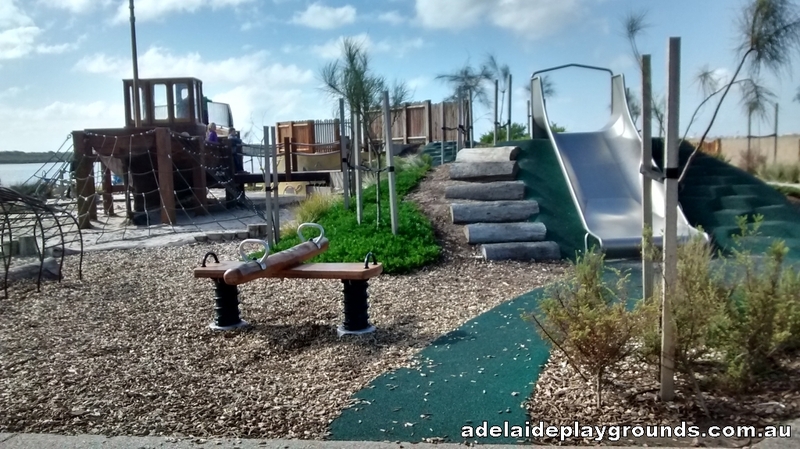 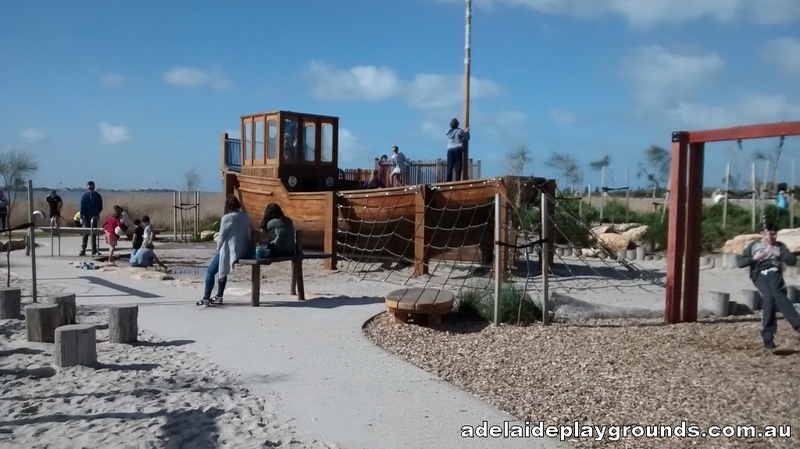 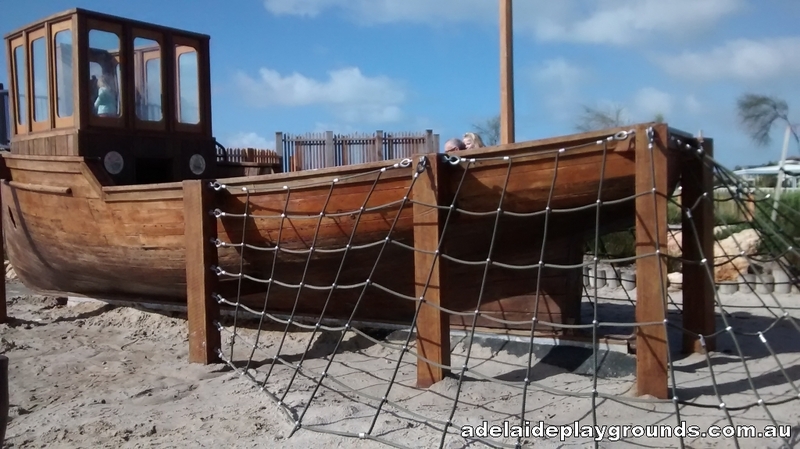 The centrepiece of the park is the large wooden ship and there is plenty of climbing equipment, swings, slide and seasaw plus there is sand to dig in too. 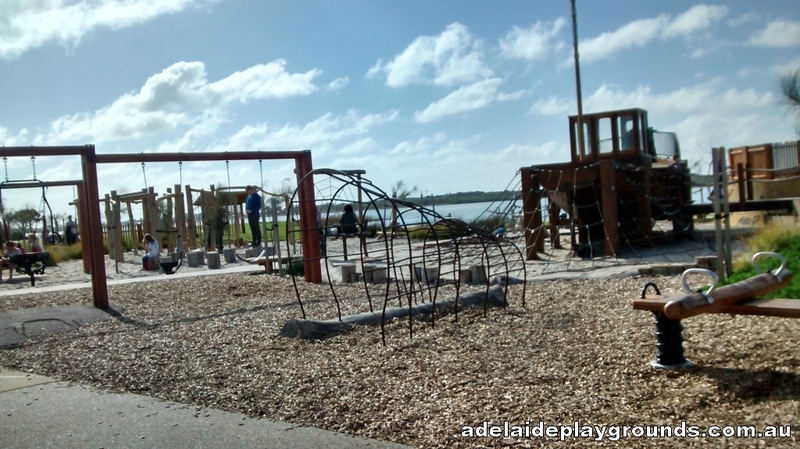 There are picnic shelters so you can make the most of your time there with somewhere to enjoy lunch.